Transit is good for the soul. 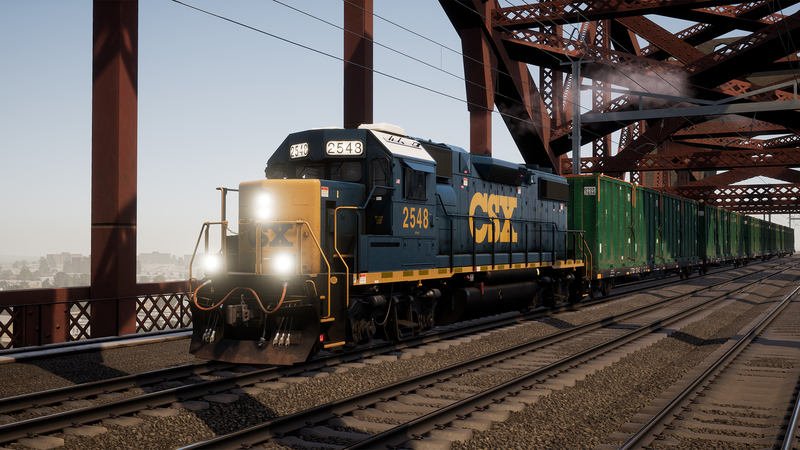 That’s what I’ve learned in my travels with Train Sim World – a journey that has taken me across continents, from London Paddington to the Pennsylvanian mountains and the heart of New York. I’ve also learned that it’s best to drive yourself. 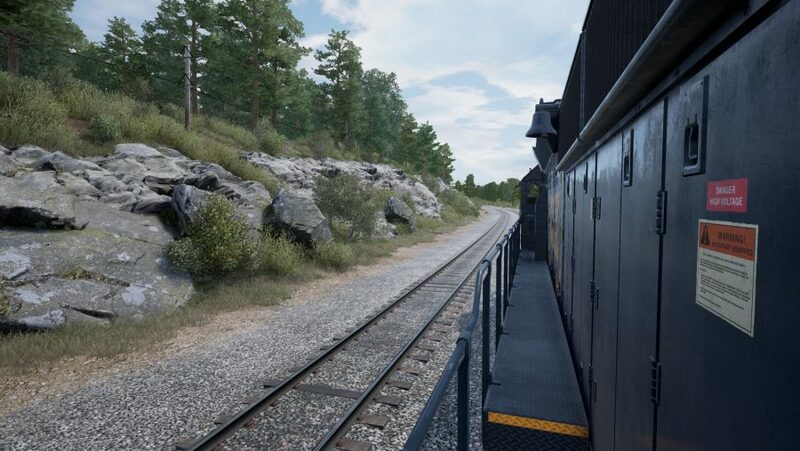 Yes, the array of buttons in the lead engineer’s cab can be intimidating – and it doesn’t help that UK passenger trains in no way resemble the bowels of a freight diesel on America’s east coast. But with a carriage full of patience and a lot of time spent with tutorials I’ve stopped getting my pantograph in a twist and begun making full use of the panoramic camera options. Paradoxically, there’s a near-meditative state that can only be enjoyed at the head of 2,000 metres of screaming metal. Now the safety procedure involved in getting an engine moving is second nature to me – lights, horn, reverser – I can feel real-life responsibility dropping away. This is who I am now. Here are my stories of life on the railroad. You’re unlikely to find the Mitteldeutschland S-Bahn in any adventure travel guides. Commuters, not tourists, take the northbound route to Leipzig Messe. But I forwent the churches and monuments to venture into the city tunnel, where more functional architecture takes on a brutalist edge. Something about those stark spaces puts me in mind of a modern art gallery. Between each stop the tunnel darkness closes in – a visual palette cleanser to prepare you for the next strange station. On the platform beneath Leipzig Bayerischer Bahnhof, Germany’s oldest preserved railway station, beams of primary colour cut across the ceiling. And the thick windows of Wilhelm-Leuschner-Platz are filled with tiny squares of glass that act as floodlights for the 12:10 service. Each station on the route was individually designed by architects so that no two feel quite the same. There’s only so much surrealism somebody can take on their way to work, mind, so it’s just as well the S-Bahn emerges into the open air before the end of its route. The final minutes of my journey play out against a backdrop of green flora and graffiti – a distinctly German vision of the urban railway. The S-Bahn can appear overwhelming to a new driver, but there’s a pleasingly regular rhythm to its stops and starts. The noises of the electric Talent 2 in particular are a unique comfort – the hiss of brakes giving way to a gentle whine. There aren’t many passenger services that take you over Sand Patch Grade, the US mountain route famous among rail fans for its dramatic curves and steep declines. Rather than wait for one, I take a job as a railway engineer delivering cargo. My companion in the cab has worked the line from Maryland to Pennsylvania long enough to see highways and houses spring up where once there was only forest and freight. Even now, though, the route offers solitude – and not just behind the tall bank of levers and gauges that hide the lead engineer from view. Once I’m confident the train won’t carry us down the hill at breakneck speed, I leave my post, open the door, and wander down the walkway – the train on one side and a blur of gravel on the other. For a little while, I let the deafening hum of the engine lull me into a peaceful reverie. It’s a strange juxtaposition to the behemoth we’re riding – a hulking monster closer to Trotsky’s armoured train than the European commuter services. A high plume of steam heralds my arrival. 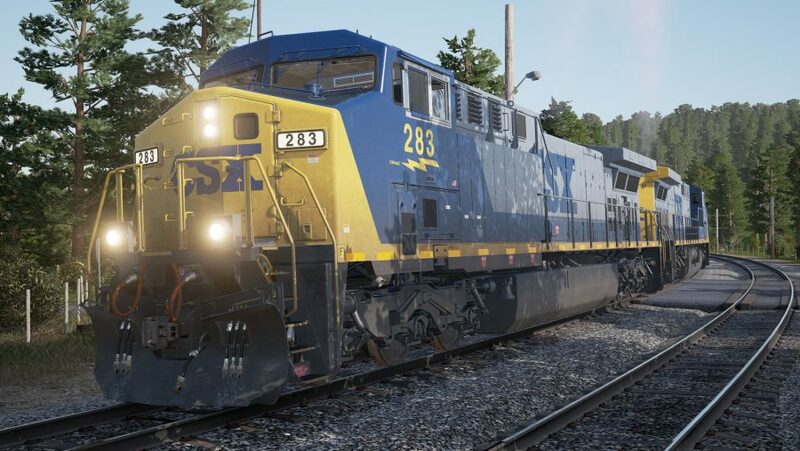 CSX Heavy Haul is only available for the PC version of Train Sim World . You’ve played Hellgate: London (possibly, if you’re an unlucky MMO veteran of a certain age). Now it’s time for Hell Gate: New York. I’m taking the Amtrak route through Queens, on my way to the narrow tidal strait of the East River that gave early explorers so many navigation problems. I’ll have no such issues today, heading straight down the line over the Hell Gate Bridge. This is a centrepiece of the Northeast Corridor – a century-old feat of engineering. It’s believed the bridge would be the last in New York City to collapse if humans disappeared. Passing under its thick masonry and deep red steel arches, I absolutely believe it could outlast us all. The train engineer’s challenge comes afterwards, though. The tunnel descent into Penn Station requires one hand on the automatic brake at all times – even the state-of-the-art ACS-64 isn’t beyond the influence of gravity, and it doesn’t do to come thundering into the busiest passenger transportation hub in the Western Hemisphere at 100 mph. It’s impossible to forget this is one of the most populated urban areas in the world – throughout my journey I’m beholden to dramatic speed limit changes, and don’t get to test the top speed of Amtrak’s machine the way I could out in the mountains with the behemoth. 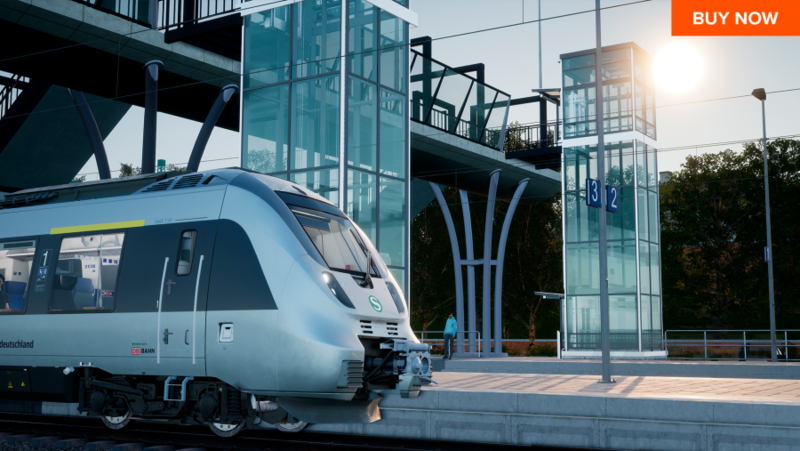 But when I’m watching the evening sun glint off high rise windows, I’m grateful Train Sim World gives me the opportunity to slow down.